Funk played three seasons for St. Cloud State following a transfer from Niagara University. 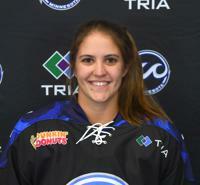 Funk returns to the Whitecaps for the team's first season in the NWHL.